Anyone who follows sports knows that so many people testing positive for human growth hormones have hit baseball hard. The sport has lost a lot of credibility, and it has taken them a while to clean up everything in general. While HGH is talked about a lot surrounding baseball, it is largely overlooked in football. However, there are plenty of signs that the usage runs rampant in the league. The NFL has really grown into America’s past time, as people tune in every Sunday to watch their favorite teams and their favorite fantasy football players. That is just one reason why some people believe any HGH controversy is swept under the rug as quickly as possible. There have been reports from anonymous former players and people within the NFL that HGH use has been around for a while, and it is not really going away. Back in 2013, there were reports from anonymous sources inside the NFL that as many as 10 to 15 players on each team used some type of performance enhancing drug. There have certainly been players who have tested positive for substance abuse, but those numbers would indicate that far too many are getting away with using HGH to their advantage. The talk about drugs in the NFL seems to be surrounding marijuana at this point in time. Commissioner Roger Goodell seems to be close to approving a change in the rules, but he has been pretty quiet about HGH testing. The league and the NFL Players Association seem to be on different pages when it comes to HGH testing and punishments being handed out. It has been an ongoing issue going back all the way to 2011, and there is no answer in sight. Until the NFL really cracks down on HGH, fans are generally going to overlook anyone who tests positive for essentially cheating. Baseball made it a huge issue, and now it is largely out of the game and those who test positive take a huge hit in credibility not to mention their paycheck. 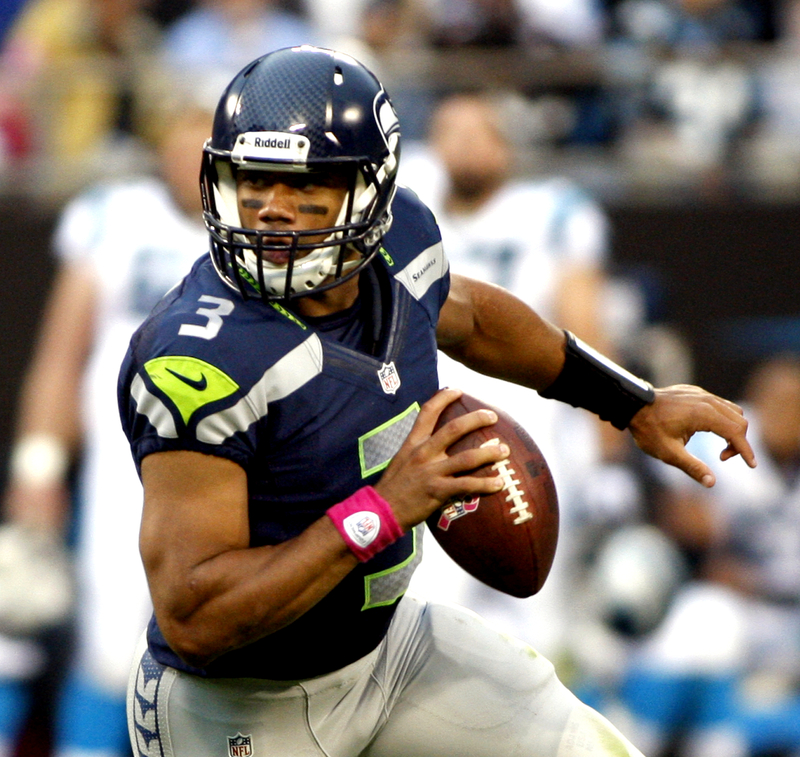 How Will Russell Wilson Do In 2013? After shocking most of the NFL with his play as a rookie, Seattle Seahawks quarterback Russell Wilson appears to be a star on the rise. The question is, can he take the next step and lead his team to the Super Bowl? Perhaps the best attribute Wilson had as a rookie is his ability to make smart decisions and avoid turnovers. He had just 13 turnovers the entire season, including just five in his last 13 games. Unlike fellow 2nd year players Robert Griffin III and Andrew Luck, all Wilson has to do is control the ball and be a steady signal caller to get the Seahawks in Super Bowl contention. His poise also showed on the road, especially in the playoffs. Most quarterbacks can handle winning and playing well at home, but it takes a special player to turn the corner and have success on the road. He did just that when he went to Atlanta and beat up on the Falcons. Leading the offense to big numbers will equal a lot of wins for the Seahawks, who have a top three defense in the entire league. As great as he was as a rookie, there are things he can improve on. 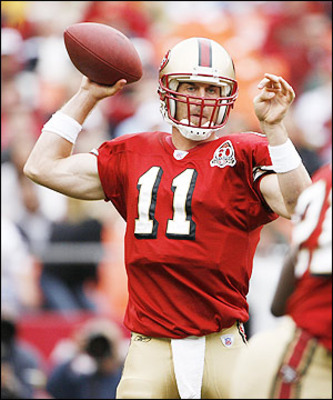 There were times when he held onto the ball too long, but that is just making an adjustment to the pro game. His arm strength and accuracy on deep passes could also use some help, and with Percy Harvin now on the team, he has another incentive to get better at it. 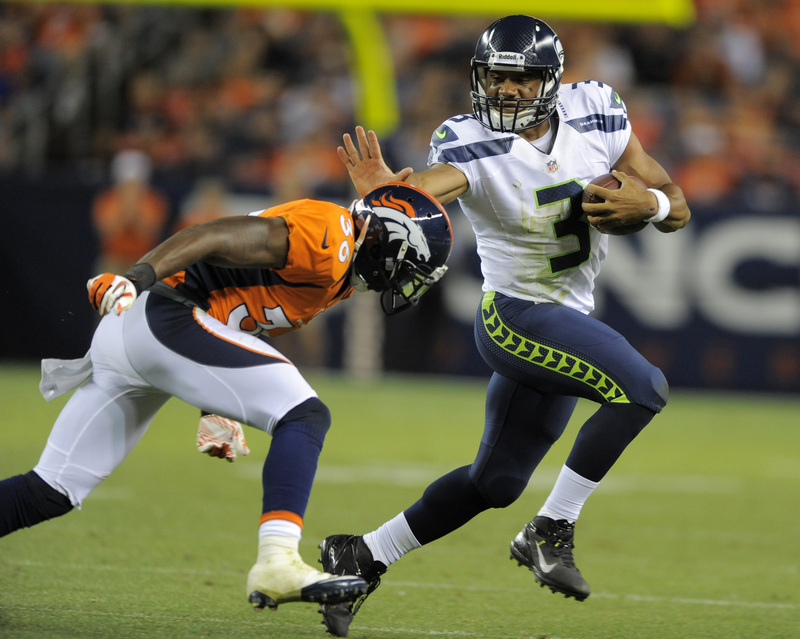 Overall Wilson will have a better statistical season in 2013, as you decide on your fantasy football team names you will also have to decide how much higher in the QB rankings you will place him than last year. That mostly has to do with being the true #1 quarterback who is trusted from Week 1. Last year, many thought he would split time. Seattle will still need to receive help from their other top players to get to a Super Bowl. 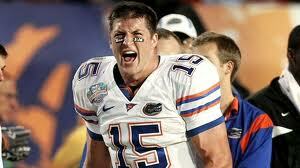 Is the Tebow bandwagon starting up again? Or is this another Bill Belichick mind game? Nonetheless Belichick has finally got the QB he wanted years ago. As the trend if the running QB continues in the NFL, Bill Belichick could be reaching into his bag of tricks to propel the New England Patriots aging offense. Or he could possibly be grooming the Pats QB of the future. Josh McDaniels drafted Tebow and got production from him. So this gamble may end up working for the Pats. If anything it would be interesting. 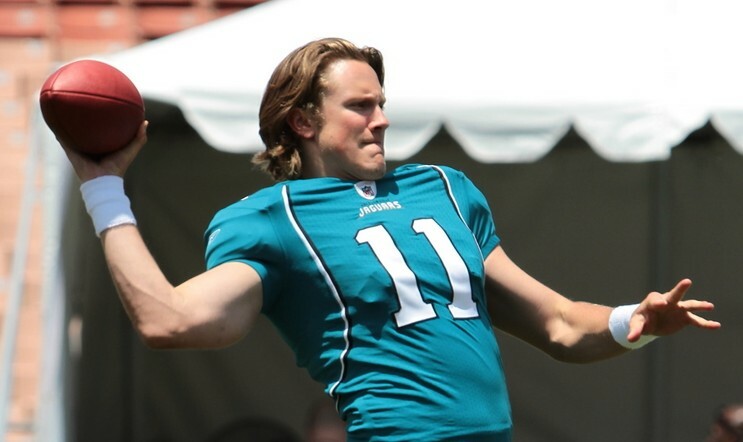 After not getting Tim Tebow in a trade with the Denver Broncos, the Jacksonville Jaguars are now pumping out spin for their starting quarterback Blaine Gabbert. According to the Florida Times-Union’s Gene Frenette, Blain Gabbert says that for the majority of the 2011 season he played with a toe injury. Excuse or not the guy played bad. Therefore, any way to give fans hope for next season is a good move. 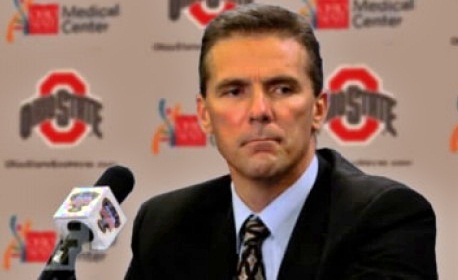 Ohio State new head football coach is back to what he loves best, recruiting. He has his eyes on the quick, speedy wide receiver LaQuon Treadwell from Crete, Illinois. Treadwell is a 6`3, 185 pound wide receiver that runs a 4.40 40-yard dash. Treadwell is a prospect in the 2013 class. Last season, he totaled 75 receptions for 1,400 yards and 18 touchdowns. He is clearly a complete mold of Meyer’s ideal wide receiver. He has offers from Arkansas, Alabama, Michigan State, Michigan, Indiana, Iowa, Nebraska, Mississippi State, Vanderbilt, Ole Miss, Minnesota, Notre Dame, USC, Illinois, and Oklahoma State. Was on YouTube and saw FOXSports.com’s Pete Fiutak discussing possible recruiting violations for Oregon. 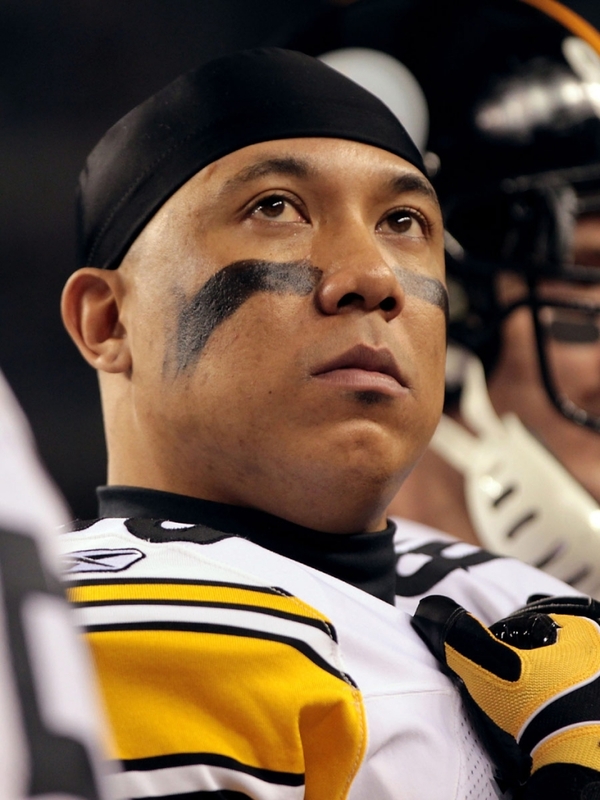 Steelers’ wide receiver Hines Ward won’t be back next season according to NFL Network’s Jason La Canfora. Hines is in his 15th season and likely will retire if he isn’t brought back. Although, many think he could return for a 16th season with another team. With just days left to national signing day, Missouri fans made a highly sought after wide receiver recruit feel welcomed. A game against Texas Tech that doesn’t necessarily get much attention, got a lot of attention this past Saturday. 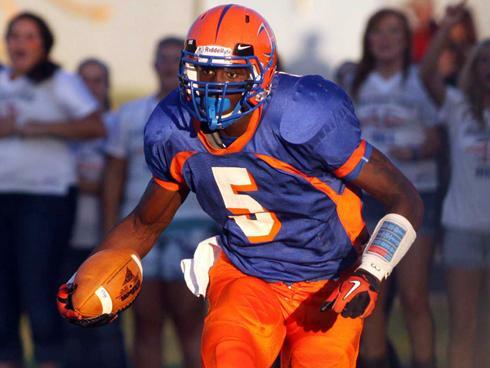 Star WR out of Hillcrest High in Missouri, Dorial Green-Beckham made a visit to Missouri, one of his final three schools. Green-Beckham is the number one recruit by several scouting services. Gary Pinkel is starting to build a nice recruiting class. Many people have been wrecking their brains trying to figure out how Coach Harbaugh changed a below average quarterback into a winning quarterback that makes few mistakes. The answer is simple and not as farfetched as football analysis makes it seem. As a coach that has the task of developing quarterbacks and offensive systems, it is quite simple to figure out Coach Harbaugh solution to the once meager unwanted quarterback. 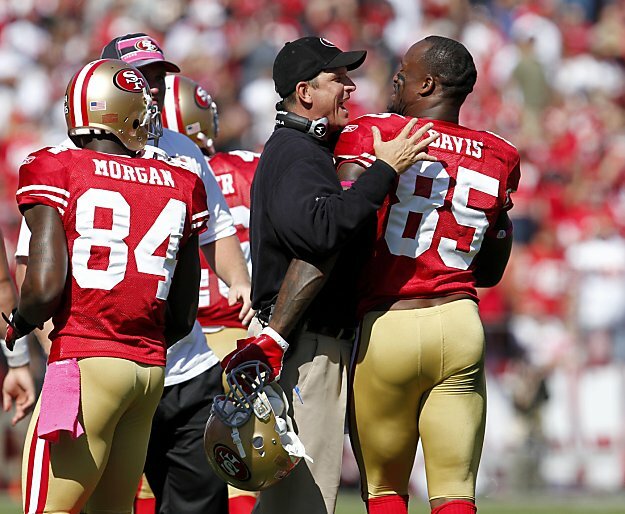 The San Francisco 49ers offense is predicated on running the ball and safe short passing plays. It uses the advantage of having a great offensive line to build around. Thus, when Coach Harbaugh made his decision to be the coach there he knew his offensive style would work well. As long as he could get Alex Smith to complete passes between 3-10 yards with a seemingly somewhat accurate rate they would be fine. His biggest task was resetting Smith’s focus and confidence. And that was apparent in the playoff game against the New Orleans Saints. With a pregame get together, and specific play calls that allowed Smith to feel connected as the leader of his team. Football is a mental game as much as a physical one. And at the quarterback position it’s more mental than physical in most cases. For any successful QB having the knowledge and understanding of both offense and defense is important. And for Smith, the shift of learning and having a better mental understanding and confidence has proven to develop the balance with the former number one overall pick physical ability.